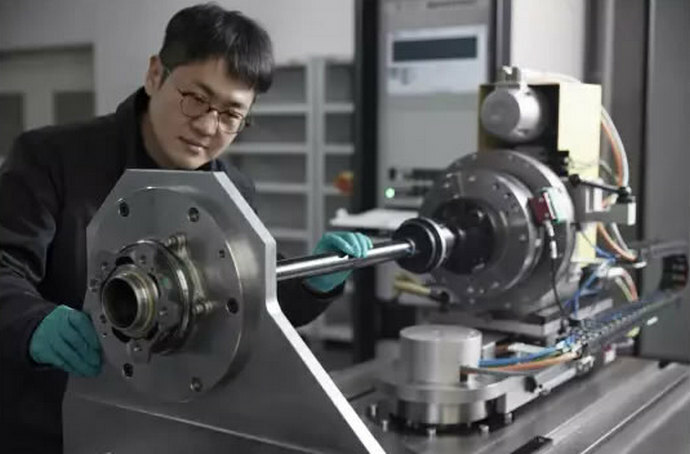 Hyundai Wia an affiliate of Hyundai Motor Group that produces auto parts and machine tools has developed an innovative automobile drive shaft that simplifies the process of transmitting power from the transmission to the wheel bearings of a car. The integrated drive axle (IDA) has changed the structure of the conventional automobile drive shafts that has lasted over 100 years. The new axle integrates the drive shaft that transmits power from the engine to the wheels and the wheel bearings that connect the shaft to the wheels. Hyundai Wia has become the first company in the world to develop an axle that integrates a drive shaft and wheel bearings. All cars that are currently in mass-production are based on a system that transmits power from the transmission to the wheel bearings, which are attached to the wheels, by using the drive shaft. But this system is prone to problems as the connected parts are linked as if they were bolts and nuts. Hyundai Wia integrated the two parts, thus fundamentally eliminating the source of connection problems. By integrating the two parts, Hyundai Wia could increase the stiffness of the shaft by 55 percent and cut its weight by 10 percent. The company expects the IDA to significantly improve drivers’ comfort and steering performance as it has increased the diameter of the wheel bearings by more than 40 percent. Hyundai Wia is planning to apply the IDA to Hyundai Motor’s E-GMP platform for electric vehicles. It plans to apply the new product to vehicles from global automakers.